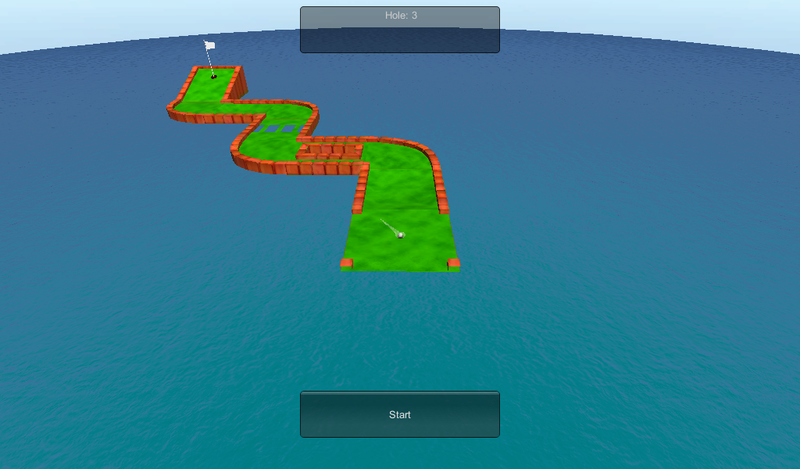 This is an 18 hole par 5 mini-golf game. 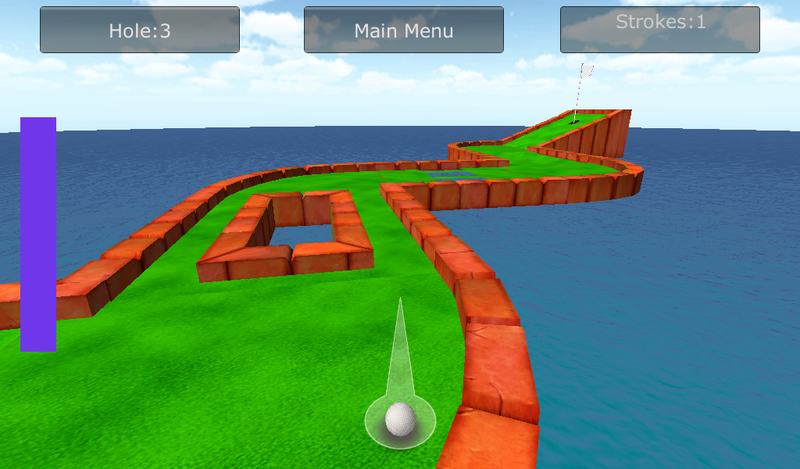 You will be allowed to take a look at the entire hole as it rotates in the view port before you begin playing each hole. To play the game first aim the ball by dragging your finger across the top of the screen. Then press and hold the round button at the bottom right of the screen to set the force at which the ball will be hit. The force is displayed in a tall rectangular box on the left side of the screen. Remove your finger from the round button to hit the ball. The scoring is based on five strokes being par which is equal to 0. Hit the ball in the hole with fewer strokes then five and your score will drop by one point for each stroke below five required (with the score going into the negative) while requiring more then five strokes will add one point to your score for each stroke beyond five. Lower scores are better then higher scores. 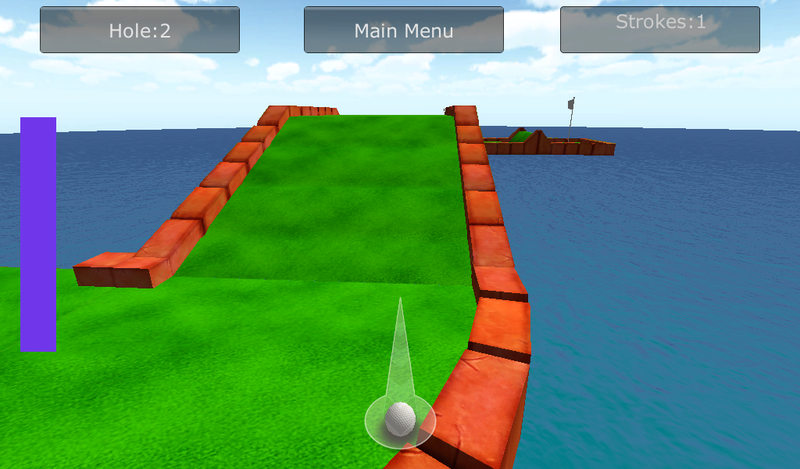 Your total score is equal to your combined individual scores for each hole. Cheating is not allowed by allowing players to replay a single hole. 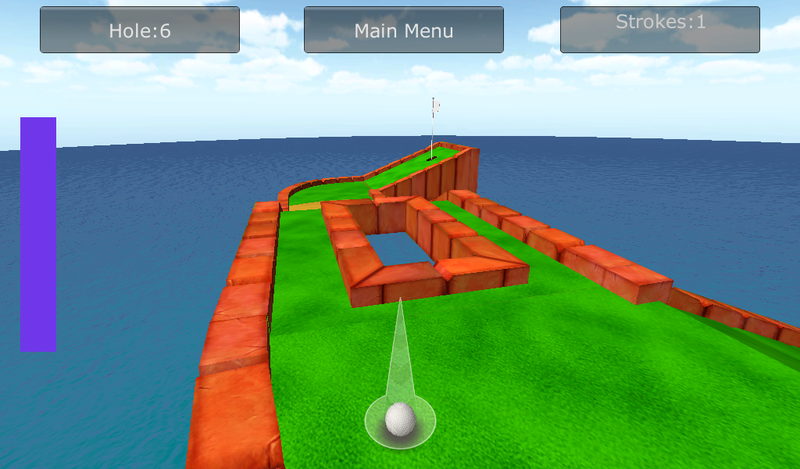 If you want a new high score your must play all eighteen holes from start again. You can purchase the game from one of the following app stores.